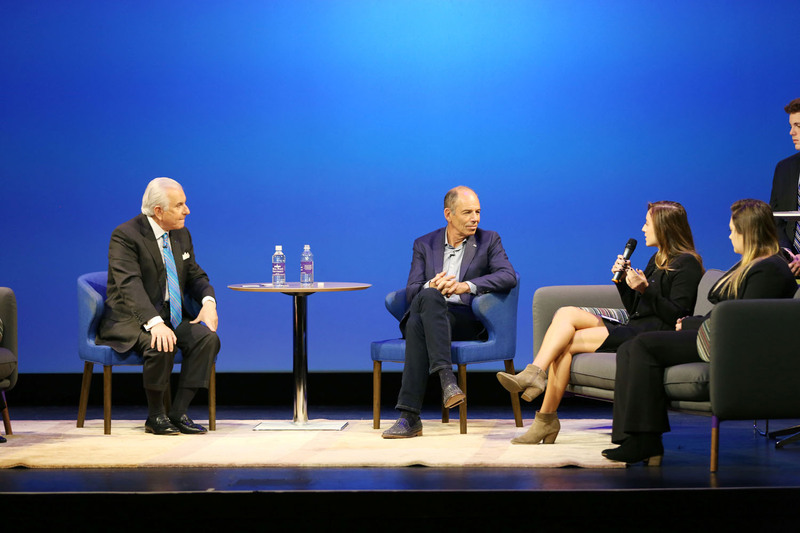 Netflix Co-Founder Marc Randolph participates in an interactive Q&A session led by students and moderated by High Point University President Dr. Nido Qubein. 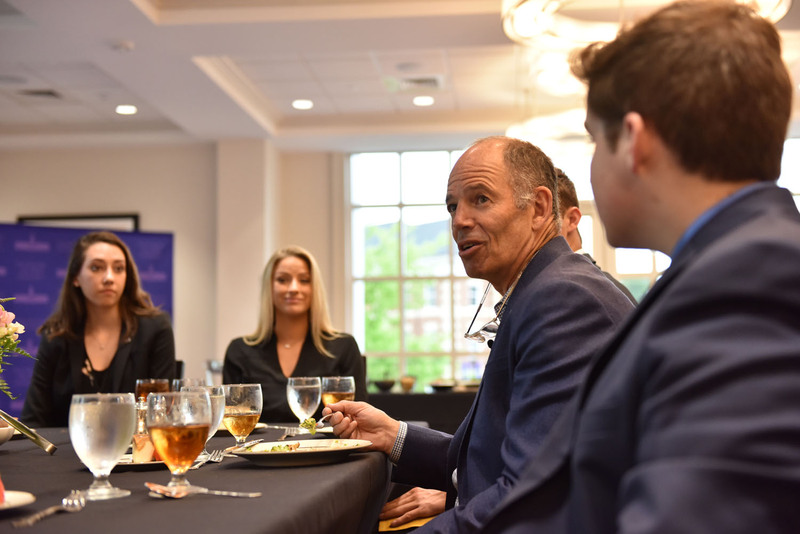 HIGH POINT, N.C., April 23, 2018 – High Point University students spent today with Netflix Co-Founder Marc Randolph, HPU’s Entrepreneur in Residence, as he returned to campus to mentor students. 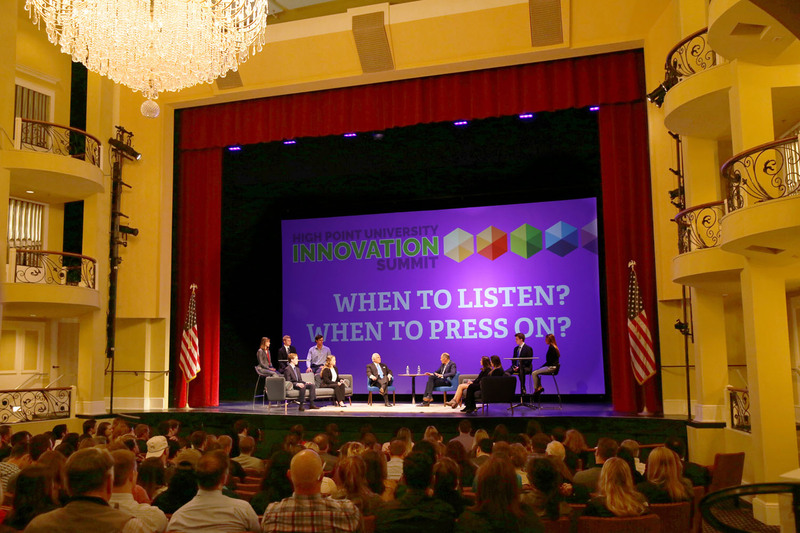 During an interactive Q&A session moderated by HPU President Nido Qubein, students asked Randolph questions about what it takes to be an entrepreneur and how to make strategic career moves. 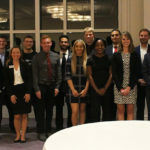 Randolph also hosted small-group sessions throughout the day with entrepreneurship, sales and pharmacy majors, who pitched their business ideas and received feedback directly from the Silicon Valley icon. 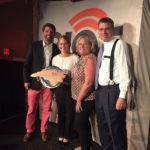 “When it comes to investing my time in an idea, the first thing I check on is if I’m interested in the problem,” said Randolph. 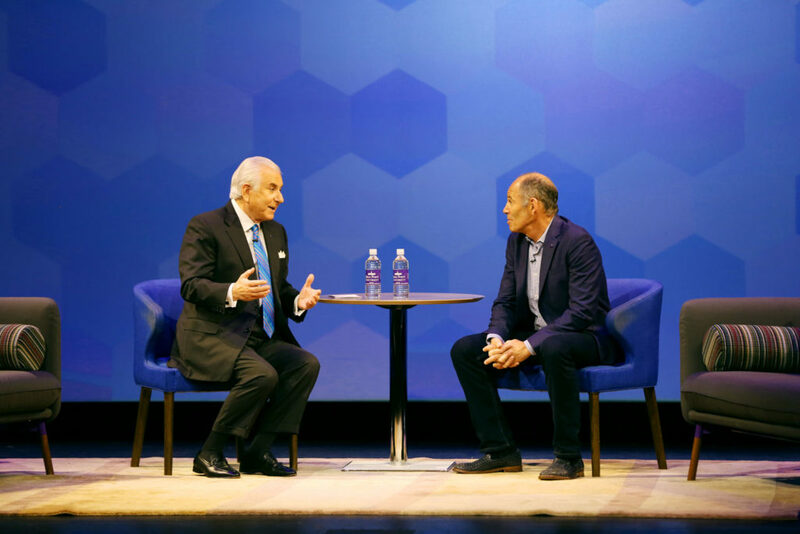 “I tell people not to fall in love with their idea, but with the problem they’re trying to solve. The idea is going to change. The idea is likely going to be a bad one. If the problem is an interesting problem, that’ll keep you going for a long, long time. 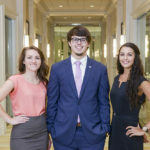 HPU student Chris Putnam, a psychology major, asked Randolph about mental strength – how to build it and continue to grow it under the pressures of running a business. 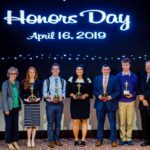 “Strength comes from practice and from stressing yourself enough that you can recover and then move on to do equal or greater things in the future,” said Randolph. 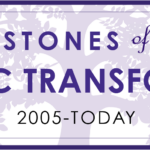 “Being in a business, the strength to make hard decisions comes from the experience of making less-hard decisions. And strength to make less-hard decisions comes from making easy decisions. The trick is to put yourself in the position where you have the opportunity to make real decisions with real consequences early. 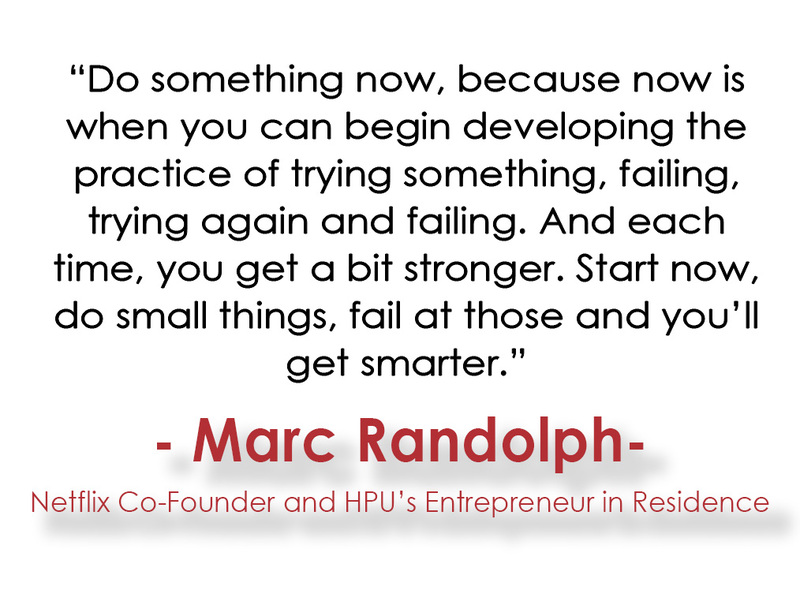 Students in both the HPU Selling Club and Entrepreneurship Club met with Randolph and had the chance to share their ideas for his feedback. 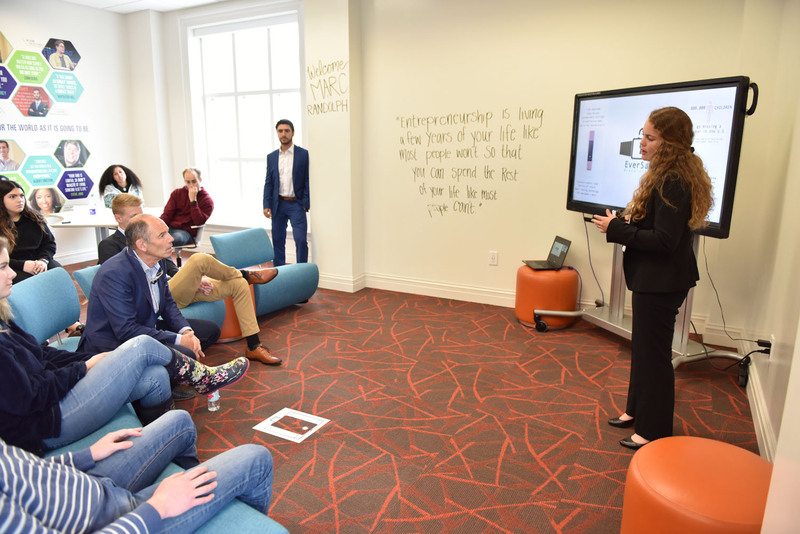 CeAnna Soper, a senior from Milwaukee, Wisconsin, double majoring in business and communication, pitched her product, called Breezy Brush, to Randolph.